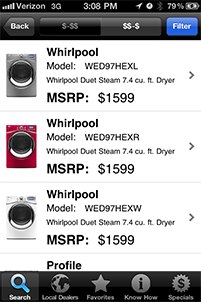 The Brand Source App was developed by The Home Source Corp to improve the buying experience for the consumer by giving them the tools they need to make an informed buying decision all in the palm of their hand. 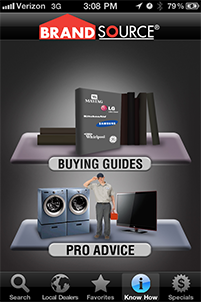 These tools consist of product information, retailer location, and product knowledge for appliances and electronics. Our software developers had over 20 years of experience in the appliance industry and were familiar with the needs and wants of the consumer. Combining experience and knowledge with the new mobile technologies now available was the logical next step. Hence, The Brand Source App was born. 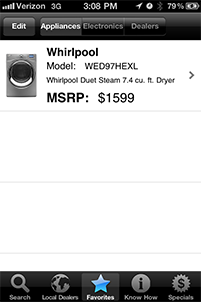 With the ever-changing world in which we live and the demand for information at a moments notice, software developers at The Home Source Corp developed the idea of giving the consumer all of the information they would need to make the best home appliance and electronics decision possible when it is convenient for the consumer. 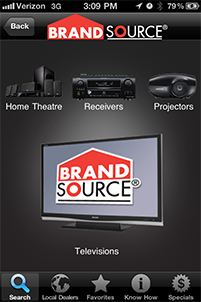 With The Brand Source App you no longer have to wait for the Sunday advertisements or sift through endless online recourses; instead you can search for what you want, when you want, find where to buy it, and find the best price all in one place, all at one time. Our goal is to continue to develop innovative thinking integrated with cutting edge technology to help the consumer discover the best value for their needs.